Walt Disney and von Braun, seen in 1954 holding a model of his passenger ship, collaborated on a series of three educational films. What is the real birthplace of ideas, such as space travel, computers, the internet? What does the meeting of interest groups from politics and the corporate world, who adopt and launch such ideas, look like? How is techno-optimism set in motion? How does the society react to the announcements and the realisation of technological innovations (propaganda), and how does it react to the actual changes brought about by the innovations? 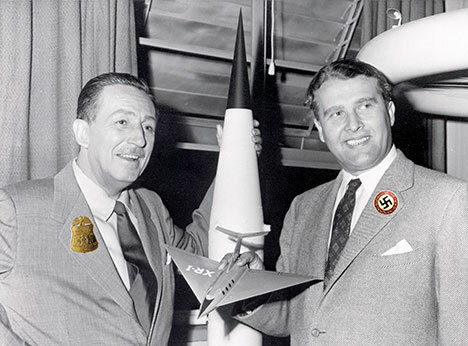 In 1954, FBI’s informer and one of the inspirers of McCarthy’s anti-communist witch hunt Walt Disney established collaboration with Werner von Braun, an SS officer and the author of V1 and V2 programmes. 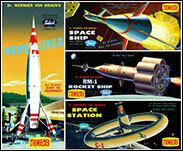 The partnership resulted in the propaganda film for the Futureworld area of the Disneyland theme park, and at the same time it also positioned the space programme as the symbolic centre of the Cold War. In December 2012, representatives from 190 countries will meet at the International Telecommunication Union Conference in Dubai and start the process of redefining the global regulatory frame for internet governance. Regimes with long-lasting and troubling histories of violation of human rights, such as the USA, Russia and China, will determine, inter alia, the operative definition of freedom, which will then serve as the basis for the new house regulations in our digital lives. 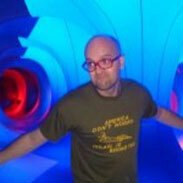 Vuk Ćosić is an internet veteran and an internationally renowned classical author of net art. He is also the co-founder of Ljudmila, the Ljubljana laboratory for digital media, and of Nettime and Syndicate, global forums for internet theory. He lives in Ljubljana with his wife Irena, his daughter Luna and his dog Taksi. He is a frequent exhibitor (Venice Biennale; ICA, London; Beaubourg, Paris; ICC, Tokyo; Kunsthalle, Vienna; Digital Artlab, Tel Aviv; ZKM, Karlsruhe; Ars Electronica, Linz; Walker, Minneapolis; Postmasters, NYC; Friedricanum, Kassel; Neue Galerie, Graz; IAS, Seoul; Moca, Oslo, etc.) and lecturer (MIT Medialab; Beaubourg, Paris; Guggenheim, Venice; CCA, Glasgow; Thing, NYC; festivals in Hong Kong, London, Liverpool, Dessau, Montreal, Banff, Madrid, Gorica, Copenhagen, etc. ; and fine arts academies and universities in Stockholm, Los Angeles, Chicago, San Francisco, Troy, Dundee, Liverpool, Venice, Linz, Barcelona, etc.). He has been the subject of numerous honours theses, masters and doctoral dissertations (universities in Rome, São Paulo, Leeds, Manchester, Brussels, Trieste, etc. ), media articles (NY Times, Liberation, La Repubblica, Guardian, Financial Times, Cahiers du Cinema, Artforum, Newsweek, Wired, Haaretz, ORF, CNN, BBC, etc.) and the key publications on new media (MIT Press, Thames & Hudson, Tate, Taschen, etc. ).